The real question now: What did Barack Obama know, and when did he know it? Have you heard the latest nursery rhyme? It goes like this: Hillary and Obama went up the hill. They both came down in handcuffs. Don’t laugh. It’s not a joke. The noose tightened last week upon the entire FBI leadership over the scandal to destroy candidate Donald Trump and then President Donald Trump. But it’s no longer just the FBI leadership facing prison time for conspiracy and obstruction of justice. It’s no longer just Hillary and her pals at the Democratic National Committee and the Clinton Foundation facing prison time. 2) Trump is not just unpopular, but historically unpopular. 3) Trump is the most unpopular president in his first year ever. The latest respected Rasmussen poll is out. Trump’s approval rating is 48 percent. That makes Trump more popular than Obama at the exact same date of his presidency. On Feb. 7, 2010, Obama was at 44 percent. On Feb. 7, 2018, Trump was at 48 percent. If Trump is historically unpopular, and he’s four points higher than Obama, what did that make Obama? But back then, we never heard a word about such things from the media. More problems for the Democrats. The latest Quinnipiac Poll shows Americans now give Trump credit for the economy, 48 percent to 41 percent. The latest Real Clear Politics average of many respected polls shows Democrats have lost dramatic ground on the economy, jobs, immigration and national security. The GOP now leads 45-36 on the economy, 43-37 on jobs, 46-33 on national security and 43-37 on immigration. Blue wave? Sounds like a red tsunami to me. Now to Obama, Hillary and the FBI scandal. It’s going to get only worse for Democrats. Newly released texts from FBI lovebirds Lisa Page and Peter Strzok put both Hillary and Obama in grave legal jeopardy. ■ It gets worse. The Hillary exoneration letter wasn’t just changed to exonerate her. The FBI changed “president” to “senior government official” when describing to whom Hillary sent illegal personal emails while traveling in a nation called a “sophisticated adversary” to the United States. Could that be Russia? ■ Texts also indicate FBI Deputy Director Andrew McCabe knew about confidential emails discovered on Hillary aide Huma Abedin’s laptop and delayed informing Congress. The FBI also ignored that many of these emails were marked “C,” for confidential. ■ Texts from Democrat Sen. Mark Warner show he was texting with the lobbyist for a Russian oligarch, representing the fraudulent dossier — all while the senator was investigating Russian interference in the election. Wow. ■ We also learned a Yahoo news story used to gain the FISA warrant to spy on Trump was written by a former DNC employee. 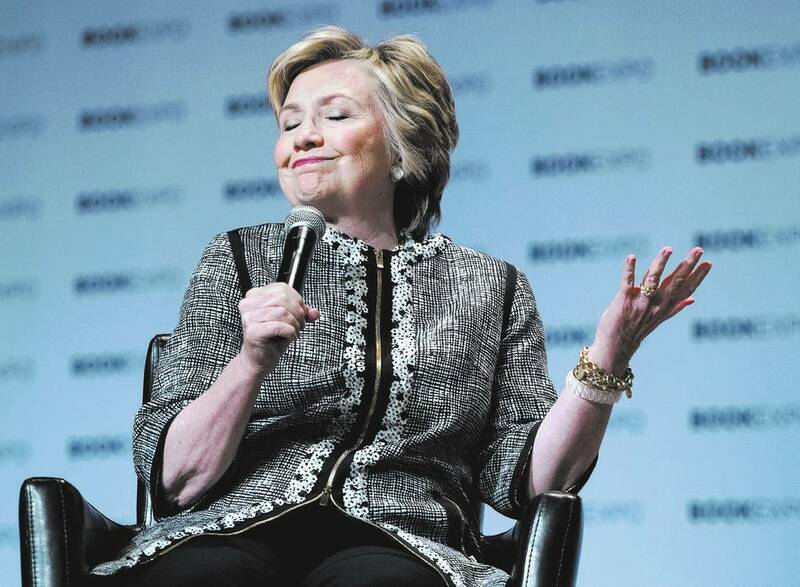 ■ Finally, a top FBI informant testified to Congress that Moscow routed millions of dollars to the Clinton Foundation in a “Russian Uranium Dominance Strategy.” He says Obama knew about all of this, yet allowed the deal to go through. I wouldn’t want to be Hillary or Obama right now.